I would like to sit down here today and write as though everything were normal, as though I were actually capable of forming complete sentences. But the truth is, I am an absolute maniac. Tomorrow is the official release date for my book, a day that I never really trusted would come, and I feel alternately so ecstatic and so freaked out that I can’t decide whether I need to run around the block a few dozen times or lie down for a nap. In the meantime, I will eat some sweet potato pound cake. As you can see, that’s been my fallback position for a few days now. Many of you have written already(!) to say that you have the book in your hands, and that you’ve started to read and cook from it, and I want to thank you for that. Thank you. I wouldn’t have written the thing at all if it weren’t for you, and I mean it. I hope that, if you can, you will come out and let me shake your hand and thank you in person. I’ll be looking for you. And an update on the Washington, DC event: a number of you e-mailed or left comments to express an interest in coming that night, but I now need a formal RSVP. If you plan to attend, please e-mail cheeseandchocolate (at) gmail (dot) com to say so. The event will be at Ceiba on March 16 from 5:30 to 7:00 pm, with a cash bar, complimentary hors d’oeuvres, and books for sale. The DC event is now full. Whew! I’m so sorry that we cannot accommodate more of you; we’ve just run out of space. I think that’s all for now. I anticipate that I won’t be able to post much for the next couple of weeks, but I will stop by to remind you of where I’ll be, and when, and at what time, and whatnot. And when I get back, I’ll have a new Delancey update for you. Last week, the wood-burning oven arrived – that’s the first step in building the kitchen – and it’s beautiful. It weighs 3,600 pounds. Its arrival heralded two days of sweat, heavy lifting, and cement-mixing for Brandon, and for me, a few rolls of film and an early morning in my pajamas, helping to move it into position in the soon-to-be kitchen with the help of a plastic protractor, masking tape, and a cart that vaguely resembled a handtruck on steroids. Needless to say, I have some photographs for you. Although none of them feature my pajamas, so don’t get your hopes up. Until then, be well, bake yourself some sweet potato pound cake, and thank you, always, for being here. 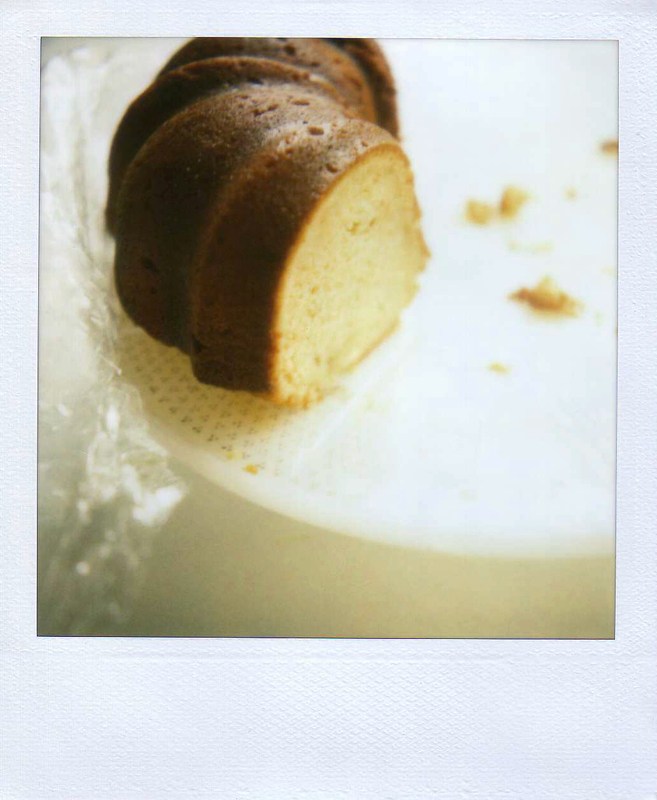 I was introduced to this cake by my friend Shari, who co-curates the inspiring site this joy+ride. (That’s me in the current issue, #12. Thank you, sweet Shari.) She not only gave me the cookbook that contains this recipe, but she also posted an enticing photo of it on Flickr the other day. She has never led me astray in anything, so I took the hint. I immediately flipped on the oven and pulled some butter out of the fridge, and I suggest that you do the same. This cake is perfect for late winter: moist, fragrant, warmly spiced, with a flavor a little bit like – and I mean this in a very good way – a spice doughnut. Or maybe an applesauce doughnut. In short, I am going to be making it for a long, long time. You can roast, peel, and mash the sweet potatoes ahead of time, and from there, the cake comes together fairly quickly and easily. The recipe comes with an optional buttermilk glaze, which I used and liked very much, but you could go either way. The glaze is mainly for added flavor and moisture: in my experience, it isn’t one of those types that sits prettily atop the cake, but rather soaks in like a syrup. The overall effect was dangerous. I think I ate about five slices on Saturday. Consider that a warning. In a medium bowl, combine the flour, baking powder, baking soda, nutmeg, and salt. Whisk well. In a small bowl or measuring cup, combine the milk and vanilla. In a large bowl, beat the butter, sugar, and light brown sugar until light and fluffy, stopping once or twice to scrape down the sides of the bowl. Add the eggs one at a time, beating well after each addition. Add the sweet potatoes, and mix until the batter is combined. (The batter may look terrible at this point: curdled, weird, terrible. Don’t worry.) With the mixer on low speed, add half of the flour mixture. Beat to just incorporate. Then add half of the milk mixture, and continue to beat on low until well blended. Add the remaining flour, followed by the remaining milk, and beat on low until the batter is thick and smooth. Scrape the batter into the prepared pan, and bake for 60 to 75 minutes, or until the cake springs back when pressed lightly and a toothpick inserted in the center comes out clean. Cool the cake in the pan on a wire rack for 20 minutes. Run a thin knife around the edge to loosen the cake, and then carefully invert it onto the rack. Meanwhile, make the glaze, if using. In a medium saucepan, combine the buttermilk, sugar, butter, cornstarch, and baking soda. Place it over medium heat, and bring it just to a gentle boil. Immediately remove it from the heat, stir well, and set it aside to cool to room temperature. Add the vanilla, and stir well. Congratulations on your book! I’m going to try to come to your Capitola book signing. How totally fun!! Good luck tomorrow. Oh my gosh! I’m actually going to be in Portland this Friday night! I just might be able to make it to Powell’s. Are you doing a reading or just signing books? Exciting! I was just wondering if your were even going to be able to sleep tonight!! I’m excited, and it’s not even my book! Can’t wait to read it! So I am getting of work at UW at 7:30PM tomorrow night and then I will be at the bookstore…save me a macaroon! OK….or some ganache, I’m not a picky girl. Congrats, Molly. Hooray for your book! My husband gave it for me as a Valentine’s Day present and it arrived on Saturday. I am loving every word. Congratulations to you and enjoy the excitement! P.S. My mom was an aerobic dancing instructor and was ALSO on a local tv morning news show to do demonstrations. They had me perform a few moves for kids and I wore the sparkliest tights and legwarmers. Congratulations to both you AND Brandon. Yaye! I can make it.Can I bring anything, food and/or drink-wise tomorrow?Here’s to getting a good night’s sleep. I recommend a glass of red wine. Congrats on your book! I’d come to your Portland event but that’s the one night this month when my book discussion group meets. 🙁 That cake looks amazing too! I just finished devouring your book last night. It’s so wonderful! Bloggers don’t always make good book-writers, but as soon as I started reading, I knew you’d nailed it! So many yummy words all at once… now I’ll have to start cooking some of the recipes…. Big congratulations, again. Oh, my, that’s wonderful. 🙂 Congratulations! Sending you warm wishes and don’t forget to have fun! Congratulations on your book! I can’t wait to get my copy. I pre ordered it a while a back, and I just checked my Amazon account to see when it’ll ship. It looks like I’ll have to wait until the end of March! I don’t know whether I can wait that long. The potato pound cake sounds great. My Dad got me a Chrysanthemum cake form for Christmas and I think this is the perfect cake for it. Good luck on the book tour! I wish you could come to San Diego, too. Ever so many congratulations – what an exciting day for you tomorrow!!! !I can’t wait to get my hands on a copy…have a fabulous day tomorrow!PS – have you practiced your signature?!?!?!? Congratulations and I will definitely get the book now that I know it’s out. I’ve been waiting patiently or not so much. I just finished reading this months Bon Appetit rice pudding article and it makes me want to run to my kitchen and make some. This must be such an exciting time for you…congratulations a thousand times! Nurit "1 family. friendly. food." I just finished your book and it was so lovely. Very sweet and sad at times. Yours is the first cookbook I’ve read cover to cover. I’m looking forward to trying so many of the recipes! You’re going to have a blast! I’ll be first in line if (no, when!) you come to New York City. I will be there with bells on! Congratulations! I look forward to meeting you on your stop to NYC. 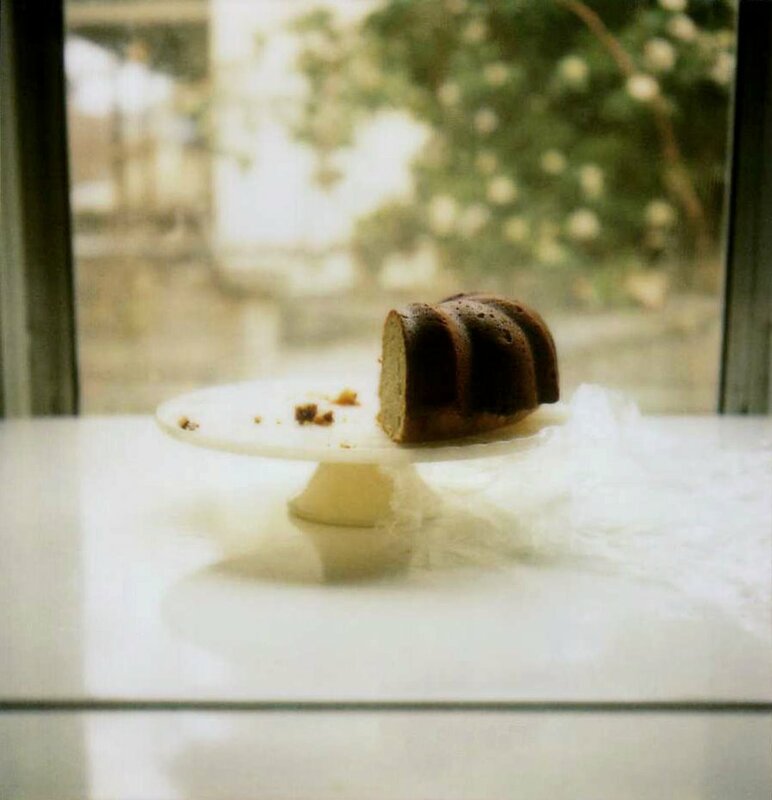 You can write, you bake amazing cakes and you make beautiful photographs. You are pretty much my hero. Congratulations, Molly, I hope you have a great time savouring your accomplishment! I first “discovered” you in Bon Appetit (the piece about the souffles). I’ve been tuning in here ever since but have never commented. I just wanted to say congratulations, particularly because you seem like such a sincere, deserving soul. I am truly happy for your success and wish you much more. I commend you for your discipline and your obvious love of food, and the joy that it brings. Thanks! Well shoot, I live in the DC area but will miss seeing you on the 16th! Congratulations on your book, I’m looking forward to reading it. BTW, I love the Southern Cakes cookbook. There’s not a bad cake in the bunch. Can you imagine my surprise and excitement when I saw your book on the shelf at the Borders in downtown Boston on SUNDAY? My boyfriend must have thought I was having some sort of errant fit: I was all “but! tuesday! not out yet! book! must! have!” And so I bought it, I hope you don’t mind that it was early, because I love it. It’s wonderful. Congratulations. I just saw it the other day at B&N and can't wait to get my copy. Congratulations! Congratulations! I just ran out and got your book this afternoon after work. I NEVER buy or read hardcover books (they’re not as comfortable to read as paperback), but I just couldn’t wait for the paperback for you! so weird. i just just made a sweet potato bundt cake. mine however, did not survive the pan. i was too anxious to get it onto the plate, and flipped it while it was still quite warm. it held onto the pan for dear life. yours looks lovely. i’m loving your book 🙂 congratulations! Congratulations on your book release! Tomorrow is my birthday, so your book is my birthday present to myself. Enjoy the book tour – hopefully I will get to come to the Portland stop! Congratulations on your book! I’m in the SF Bay Area and will be at Book Passage in SF on the 11th. I am saving your book to read while I’m in/on my way to Europe in 18 days. I will take a few peaks before then. I was able to pick up a copy this weekend at the Full Circle Bookstore. I it is such a sweet book I love how you were able to associate your memories with each recipe. Congratulations on your first book and hope to see you in OKC. Over the weekend I read your wonderful book cover to cover, and then sent it back to college with my younger daughter to give to her older sister. I’m betting the older one doesn’t get it because the younger opened it on the bus on the way back. I think that if I want to cook from your book, I’m going to have to buy a second copy! hmm… I thought I’d seen an LA event earlier, but not this time. I am so excited to get my hands on that book. Being able to hold in my hands a beautiful compilation of all the blog entries that have brought me so much delight and enjoyment…Can. not. wait. Molly,I always wonder if you have the time and energy to read all the comments that we avid Orangette readers leave. At your start, it was only 10 or 20–a manageable amount, I think–but now it has grown a ridiculous amount.I just want to say that I am incredibly excited about your book. I can’t wait to read it and pour over the recipes, as I do this blog.Someday I hope to be lucky enough to fit writing and food into my life as you have. I am in the SF Bay Area, just got a copy of your book in the mail last Friday. It never fails to bring a little warmth and sunshine into this gloomy rainy season, just like your blog entries. See you soon!! Just glazed the cake! But whoops–forgot to add the vanilla at the end. It ought to make a great breakfast, since sweet potatoes are healthy!But nothing could beat the apple cake. What a gem of a recipe!Enjoy this special, special time! Ooooh, sweet potato in a cake, I’m there. Good luck with all the signings, if it wasn’t for that pesky Atlantic Ocean I would be there in a shot! Think I’ll take your book with me on the bus today to bookmark the recipes I want to try (although I will probably just end up rereading the entire thing). Only recently came upon Orangette and you have already displaced MFK Fisher in my pantheon of food writers. Congratulations on your book! Looking forward to the stove chronicles. congratulations on the book1 wish to buy it too! hope I ll find it somewhere :)since I m so far away. Is it available at Amazon?this cake looks delicious! Oh dear! I have everything I need to make this, including some buttermilk that needs to be used. (I scoured the internet yesterday for a recipe that suited me, including this site, but this is the first recipe that has spoken to me.) But alas! No Bundt pan. What should I do? i loved seeing the sweet potato cake through your eyes. i need to make another one pronto. enjoy your book tour friend. wish i could sit in the front row each night and cheer you on. thinking of you and sending hugs! Congratulations on your book!I am currently abroad for a bit and unfortunately do not have a bundt pan here. Would baking it in a normal loaf pan be alright? According to Amazon, the book is on its way. I can’t wait to get started. Congratulations and have a great time on your book tours. Oh! I live in IN but will be visiting family near Seattle for a week at the end of March. Will you have any signings then? I wish the restaurant was open – I guess I’ll just have to come back and visit my parents again next year, huh? I can’t wait to try this healthy cake. (It has sweet potatoes, right?) There are sweet potatoes on my counter right now that need to be eaten. Perfect! Congrats, Molly! I’m another of those Amazon pre-order folks that already have your book: It’s been enjoyable so far, and I probably would have devoured it already if work weren’t keeping me so very, very busy right now.… Er. No pun intended. :}Thank you for writing it! I flew through the book, trying to make it last, like a great meal, but all too soon I’d consumed the whole thing. It was as wonderful as I’d hoped – what more could you want? Food, cooking, travel, romance? Congratulations and how soon before the next? 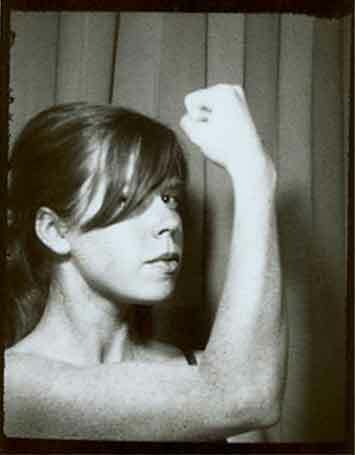 I love your blog, and I so hope you’ll one day publish a book illustrated with photos. Your lovely aerial shots of food and evocative table settings are one of the best parts of Orangette! I picked up my copy over the weekend, just finished the chocolate macaroons chapter! Molly, this book is lover-ly in so many ways, thanks for inspiring me to continue doing what I do. Best wishes! 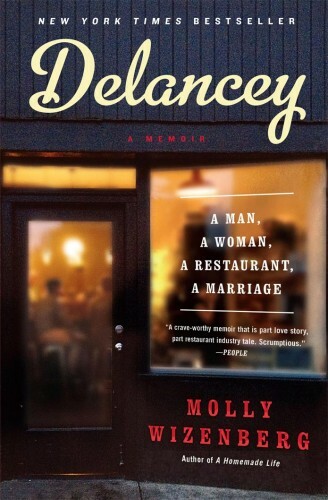 Dear Molly, just ordered your book from Amazon and I’m really looking forward to reading it. Congrats on the book and the wood-burning oven, and best wishes for continued success. congratulations! !i received my copy from amazon a few days ago and am really enjoying it. glad to see you’ll be coming to NYC! Oooh—flavor like a spice donut? I need this cake, I think. Hope to meet you at the NYC event! i vote for taking a nap, but i'm not much of a running person. isn't that pound cake just lovely? i finished the last slice yesterday. i didn't glaze mine, but that just means i'll have to make another. i did however add a dash of cinnamon & cayenne pepper. mmmm. try it. Congrats on the book. Am sure you’ll do just great. Am new to your blog but delighted I found it. This cake is SO GOOD. I think I might have you beat regarding how much I ate in a day. It’s kind of like you with peanut butter sandwiches, maybe?And those macaroons! They were one of the early recipes that wooed me here. Just read our comments from back then and got carried away in a fit of nostalgia.Have a wonderful time these next few weeks! It’s all just so amazing. I’m jumping up and down for you right now! Enjoy Every. Single. Moment. You have totally earned it. Thanks for giving us all a little piece of you through Orangette, and now your book! Many congrats Molly. I have yet to pick up your book, but I will soon and can hardly wait.Hopefully your book tour will make it to Canada? With those yummy macaroons in tow? Okay…likely not, but I can’t say I blame you. Its way too cold up here!Enjoy the next few weeks! Congrats on the book, we in the food blogsphere are so proud of you. Enjoy this time and the blessing that you have been given to share your stories and love of food with the world. There won’t be another time in your life like this one. Please say you’ll be making a Canadian stop on your book tour. I vote for Toronto! I’m about to buy the book online, and I’ll tell my friends to do the same. Congratulations! Congrats!! Any chance you’re coming to LA on your book tour?? That would be awesome! Also, I was so inspired by your crab feast post that I had to copy you. Crab, sour dough bread and white wine. It was a fantastic night! Thanks for the inspiration! Oh wow, that looks incredible. And the description of “like a doughnut” is a very, very good thing! 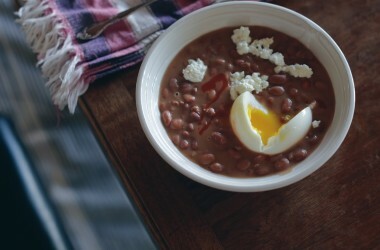 Mmmmm will have to try this recipe. And congratulations on your new book! Can’t wait to read it. Wow, how exciting! Congratulations on your book! I am in Portland and planning to attend your event at Powell’s. Can’t wait! Molly, congratulations! I am really looking forward to reading your book and am hopeful I’ll be able to come out to your San Francisco book signing next week. Molly, I can’t wait for the book to be in my hands!! I’m so excited for you. Congratulations! A box was just delivered to my desk. I cut it open and there, sitting on top of the pile of books, was yours – pretty and green and red and still cold from its travels. I cracked it open and my eyes welled up with tears immediately. I’ve never written here before but I wanted to share my happy tears with you. I’m a book editor, and occasionally tear up the first time I see a finished copy of a book I’ve worked on. I’ll admit that I wish that I had found you before your editor did, but this isn’t about me. Congratulations Molly. 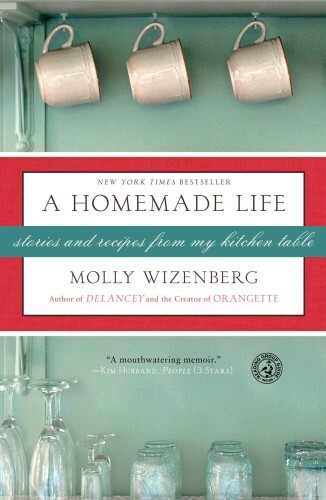 🙂 I just read this – http://www.thekitchn.com/thekitchn/book-reviews/a-homemade-life-stories-and-recipes-from-my-kitchen-table-by-molly-wizenburg-book-review-2009-077964I hope you are having a wonderful release day!! I sent an e-mail the other day, but I’m afraid I sent it to the wrong address. Congratulations on your book! I’m hoping I can pick up a copy of it today! Oh, yum, I am so going to make that cake this afternoon. Well, maybe not this afternoon because your book just arrived in the mail which means my to-do list today is not going to happen. Maybe I’ll bake it tomorrow. And eat it while reading!I hope you come up to vancouver BC!! Sweet potato pound cake – mmm <>mmm<>! I adore sweet potatoes. Can’t wait to try out the recipe!Many many congratulations on the book – that so exciting! Congratulations, Miss Molly! Enjoy your big debut in the spotlight! We’ll be waiting for you when you return. Congratulations and best wishes on your book signing. I can’t wait to get my hands on a copy. I enjoy reading your work so much. I hope this is a first of more to come! Good luck with the rest of the restaurant work, too. Oooh, a wood-burning oven…how nice! Molly, congratulations! I can’t wait to get my hands on a copy of the book! I’ve been reading your site for ages and love the journey on which you’ve taken all of us. Now that the journey involves a hardback volume with a pretty mint-green cover, well, all the better. Today is the day! Congrats millions of times over 🙂 I can’t wait to read your book. I wish for you to relish every moment of this day and all those that follow. Cheers! I just found your blog from a book review and love it. The book’s on my wishlist. I hope you come to San Diego (or at least LA) for a signing! Your book is winging its way to me! I can’t wait! I bought your book yesterday. We’ll be there tonight to root you on! i can’t wait for friday at powell’s! *congratulations*i look forward to devouring your new book. Congratulations on your book getting published! I’ve been dreaming of the same day coming about for myself someday. Someday. The poundcake recipe sounds great, I love sweet potatoes and I’m always looking for something new to do with them 🙂 I might even be able to sneak it to my parents in a poundcake, they don’t share my liking for them.Just take a deep breath, have a glass of wine, and enjoy the day! My book just arrived from Amazon! I am so excited to have you sign it on Friday night! Hi Molly,Congratulations!Is your book available in Melbourne, Australia at all? I’m so excited!! Congratulations Molly!I just wanted to let you know that I went and bought your book today. It’s patiently sitting beside me, looking so pretty, and waiting for me to look through it. I can’t even imagine how you must feel today. Congratulations!! It is a very happy coincidence that I will be in Portland this weekend, can’t wait to get a copy of your book! Mmmm. Poundcake must be going around. I just made a lemon coconut one myself!Congrats on the book release, and best of luck with your tour! Enjoy!!! Congratulations on your well deserved success. I wish you all you are hoping for of as you continue to pursue your dreams. I can’t wait to receive your book, and share your love and warmth with my family and friends. Thank you for being such a tremendous inspiration to so many of us. It was such fun to hear you speak at the UW Bookstore this evening and to have you sign my book. And the macaroon was delicious!I had a disaster with my Amazon order last week, so I’m glad I got to the bookstore early this evening, and got a copy (and a seat) before they ran out of both!Congratulations on your book and on a successful launch. Reading your blog will still be a highlight of my week, so long may it continue.Now we’re looking forward to the restaurant….Safe travels and thanks for everything. Darn – I didn’t make it to the book store tonight, but I did make the Ed Fretwell soup (wonderful!!) and the sliced spring salad with cilantro and french feta. So delicious! I’m absolutely loving your book! I can’t help but think that your dad would have been so completely tickled by what you’ve accomplished. And very proud. Congratulations! friday! i may not have the babies, so i hope you still recognize me. hah. i am so happy for all of this– hooray! and that recipe is going in When I Have an Oven pile. I should have your book in my hands in a day or two. Wish I could come out to meet you in person, but it’s not in the cards. Good luck! Don’t sweat the signings — the hard part is over. Smile and enjoy your success! i made the cake and it is sooo good! without glaze and in a loaf pan but still delicious. and i’m waiting for your book too…congratulations! For what it’s worth–“two 8″ x 2″ round cake pans equal a 10″ x 3 1/2″ Bundt pan. Baking times will vary depending on pan size. 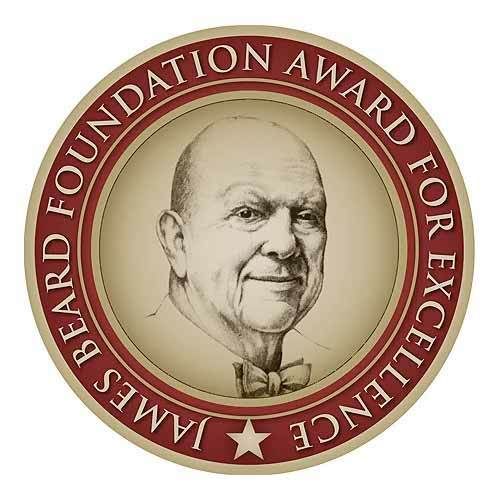 Deeper pans, for example, require longer baking times.” Source: http://tinyurl.com/dbptrpCongratulations, Molly! Congratulations, what a wonderful time in your life!try to soak it all in! I just received your book in yesterday’s mail and I think it is absolutely beautiful. Can’t wait to read it. We may have never met, but I feel I know you now and I’m just so proud of you. Congratulations. Hi Molly, Congratulations on your book! I ordered my copy from Amazon and am anxiously waiting for it to arrive. I was at Borders last weekend and saw it on the shelf and almost bought a copy because I’m so anxious to start reading it! Enjoy every minute of your signings and if you ever do a book tour to Houston, I’d love to know! Congratulations on your book. As with “Oragette” praise is due. Both sources of inspiration to the foodies amongst us. really enjoying the read so far. you are a marvelous writer. Congratulations! I will see you in New York on March 18. Just wanted to let you know that I will be at the NY event. Look forward to meeting you and picking up a copy of the book!! Congratulations, Molly! I and a couple of friends are very much looking forward to your New York event. You should traipse out to Brooklyn, too — I think you’d find some like-minded souls out there. Congratulations on the publication of your book! I look forward to reading it. I really enjoy your blog and just made your caramelized cauliflower recipe last night. It was so good and so easy. And there is even a small amount left over! Next on my list to try is the shaved fennel salad with mushrooms and Parmesan. Enjoy your tour! Congrats Molly! I’ve been reading for a long time but rarely comment… I just wanted to say that I was walking home from work the other night, right past Powell’s, and I saw this:http://3.bp.blogspot.com/_b8qkD2CHID8/Sa7JwYoVUeI/AAAAAAAAACI/TKjZy1SNDCc/s1600-h/DSC01254.JPGand it put a big smile on my face! Looking forward to Friday! Congratulations on your book! I received it as a birthday present last week and I am so excited to use some of the recipes! Last year I was going through a rough period of unemployment and the boredom that comes along with it, but your blog inspired me to cook and it is now one of my passions, I even started a blog myself. Good luck with everything! That pound cake looks absolutely mouth watering. I’m going to try the recipe for it and hopefully it turns out well, so I can have some for my own! Originally, I wandered over here to tell you that I too have received, read, and generally feasted upon my copy of your book, and have been recommending it to most of my friends (of course, I can’t loan it to them, because I’ve cooking like crazy with your recipes), but I got distracted by that pound cake and almost forgot what I had come for.Also worth noting: I made the cornbread last night and my husband loved it so much that he requested a new batch with dinner tonight (we had company last night and, sadly, had to share).Nice work and congratulations!– Thea, the other pregnant lady (who was not Ashley) at last winter’s Egg 101 class at Ciao Thyme. 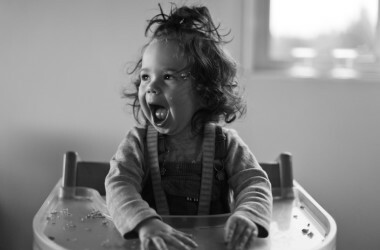 Hi Molly, i read Adam’s fantastic review (from Amateur Gourmet) for your book and just wanted to pop over and say congratulations and i CAN’T WAIT to get my eager little hands on a copy! Hi Molly – no need for nerves, the book is fantastic! I told my husband it’s as enjoyable as a cupcake! I loved it so much, I bought a copy for my mom. Your stories remind me of the beautiful tradition of family meals in my family. Thank you and congrats! Congratulations, Molly! I hope the initial book events have gone well. I’m so disappointed that I won’t get to meet you at the event here in DC on the 16th. I had planned to be there, but today I logged on and found that I needed to RSVP…and that it’s already too late. Ack! Well, have fun anyway! I just read Adam Roberts’ review of your book on his site, The Amateur Gourmet. I’m so glad he sent his readers over here–you have such a refreshing writing style, and I realize I’ve already made and loved your chickpea and squash salad! I look forward to buying (and reading!) the new release as soon as I get home from Argentina! I went out and bought your book on Monday night at B&N. LOVE IT. totally. I dont want it to end as its like a sweet story and then a totally bonus prize…a great recipe. SUper cool for you! Thank you, everyone, for all of your comments here! You are fantastic. Actually, I don’t even have words for how good you are. Thank you.One quick reply: Karen, I am so sorry about the DC event. We initially didn’t think that we needed to ask for RSVPs; frankly, we just didn’t think that many people would come! But a few days ago, it became clear that we might have more than we expected, so we decided that an RSVP was necessary. And then before I knew it, there were more people RSVPing than we could even fit in the room! I’m so sorry that I didn’t reserve a larger space. I really do apologize. I would have loved to meet you. What’s a gal to do while waiting for her Amazon pre-order (last August, harumph!) to show up? I guess I’ll have to content myself with (more of) this luscious cake made by me and glazed by my 3-year old. Congratulations on the book, and I’d like to selfishly echo the pleas to come north. Vancouver would love to have you! Many congrats, many, many. Your blog is truly wonderful–and I can’t wait to see the book. It takes a publishing village–and it’s nice to see that you’ve come out the other side with pound cake (almost) intact! Love the recipe–because, as a Texas boy, I love sweet potatoes (once almost got me kicked off a big gig with the U. S. Potato Board–never, ever make the mistake of confusing potatoes and sweet potatoes in front of the chairman of the board). what can i say–i love, love, love the book. i’ve had it for 12 hours and cannot put it down. your stories are tender and engrossing. i even got misty reading the acknowledgments. and then there’s the recipes…clearly there’s a lot of cooking to be done, once i get back into my kitchen.can’t wait to see you in new york! Molly, I don’t know what else I can add to the long list of comments. Just tell you that I received your book today and I am in love. A big, sincere congrats on this fantastic piece! I work in a library and we just got your book today. I can’t wait to borrow it but it already has a waiting list! It looks great! 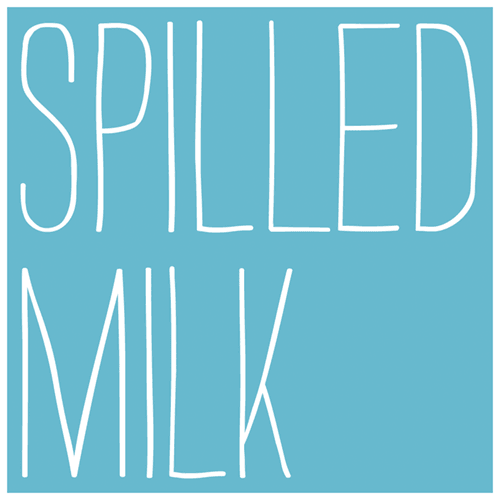 I’ve been following your blog for a few weeks now (can’t believe I jsut discovered it). So happy for you! I’m so excited about your restaurant too. So glad you’re in Seattle. Another great place for me to dine! Good luck! 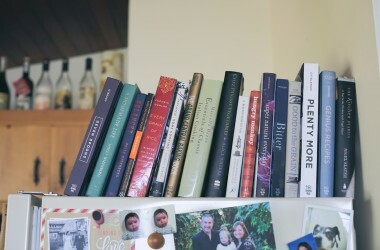 I love your blog, and your columns in Bon Appetit, and I can’t wait to pick up your book! That cake is one of the most perfect things that has ever graced my counter. Thank you. I am immoderate in my use of nutmeg and tripled or quadrupled it. I made the cake, with the glaze and it was a huge hit. My family loved it. Luckily we had leftover baked sweet potatoes from dinner the night before so this came together very easily.Also, I have to add that my word verification is obologna. What are the odds of that? Just wanted to drop by and say that I love your blog and just ordered myself a copy of your book yesterday. I can barely wait to start reading. Congrats! Great write up in this week’s People magazine. I have ordered my copy and can’t wait for it to arrive… Congratulations!!! Hello Molly!I’m so happy that you have shared all these recipes. I simply can’t imagine my life now without Doron’s Turkey Meatballs. I don’t love them as much as I love my husband and son but it’s close. We carefully divided up the leftovers the next day and made some smashing meatball sandwiches on a baguette with the yogurt sauce drizzled over. I hope you don’t mind me saying that I think your book is destined to become one of the much loved, splotchy ones held together with a rubberband. As my dad would say, “You did good!” May there be many more. Congratulations! Wish your tour would bring you to Portland Maine. Can’t wait to read it! Hi Molly,This is the 141st congratulations, but heartfelt no less.I was in B&N this morning and read a few chapters of your book. It was shelved on the bottom shelf under the W's which I thought could be better. Soooo-I moved one copy to the end display (along with Bobby Flay) and another copy onto the Special Books This Month–top shelf display. I thought your book needed to be highlighted a bit more. Enjoy this time. I hope it sells a million. Good luck also with the new restaurant. What an exciting adventure!!P.S. Thank you for the good recipes.A fan. I can’t be more disappointed that I was arranging carpools for my 3 kids for sports and taking off work to see you in DC and it’s full!!!! MY copy has arrived, but I’m a bit downhearted! Dear Anonymous (#145), I’m sure Molly will respond with this, but I just noticed that a second event has been added for DC:NEW: Washington, DCMarch 17, 12:30 pmBooksigningBorders1801 K Street NWFree event, open to the publicI know how upset I’d be if I’d gotten shut out of the event in my area and so I just thought I’d pass this tidbit along in case you could finagle some free time that day. Good luck!! I am in the middle of your book. I made the berry pound cake and it was devoured by my family. I think I will move on to the meatballs next. I love how you book is such a wonderful mix of autobiography and recipes. Congratulations! I almost made it to Powell’s, but we just couldn’t make it on time… we live in Salem and didn’t get out of work soon enough. Hope it went well for you. Hi There, I blogged about your book on http://www.littlebuildingcafe.com. We are a small coffee shop in Mississippi and we love good food and good writing. thank you! I was flipping through People magazine and got so excited to see a great review of your book. I was like “I know her!” well ok, I don’t really, but I was happy for you nonetheless. Congratulations! 🙂Strange as it may seem,it is of comfort for me to read that the DC event is full:The District was my home before I moved to Vienna, and it makes me smile that even though I am not there anymore, enough people like to read and cook and buy your book there! There’s hope inside the Beltway! Molly, I got your book a few days ago and am so excited to start it. I opened up to a random page and it was on the chapter titled “Heaven.” I, too, went abroad to study (Cambridge Uni) after my undergrad studies…so the very first paragraph got me a bit sentimental. Anyway, great work! You’re an inspiration. Hey Molly – I’m in Texas so I couldn’t make it to any of your book signings, but my son goes to Reed College in Portland and I joked with him earlier in the week, that if he was a really good son and wanted to be my favorite child for a minute or two, that he could hop the train/bus to downtown and get your book for me. I was really just kidding him, but he did it! I’m sure he stood out as the only long-haired, skinny college boy in your line. He said that you were really sweet and PRETTY. Thanks for the opportunity for him to do something nice for his mother. It rarely happens these days. Looking forward to the book! Dear Molly,I am so excited for you! Biiig congratulations from Berlin, Germany!Is there a slight chance that your publisher would expand your book signing tour to Europe? – well, Berlin is waiting for you!!! Heartfelt congratulations on your book. I’ve read about 80% at this point, and am lamenting that it will be over soon. What gorgeous work. Well, at least I can console myself by reading your archives! I’ve ordered it and am just waiting for it’s arrival! I’m so happy for you Molly. Molly, you rock! Reading your blog is a joy and the world is a better place because you are in it 🙂Deep breaths this week. We all will be thinking about you. My goal was to represent Amy Strong’s MyFamousRecipe.wordpress.com blog at your UW Bookstore event last week, but the chicken pox intervened. Istead, I lay deleriously on the couch looking at A Homemade Life’s beautiful cover. Orangette, you’ve made a wonderful contribution. Thanks, and I look forward to connecting sometime soon. So, I just read an article you wrote for bon appétit and it almost made me cry. Until today I had never heard of you (SORRY!) but I am excited to go out and get your book, and wanted to say thank you for being brave enough to share. I love to write and I love to cook, but I consider them hobbies. . . although the few food & wine pairing blog posts I wrote for AmericanWinery.com were the most fun I ever had. Best of luck to you, and thank you again for sharing. Help! I’m getting all the multitude of comments to this post sent to my personal email! Molly, you’re very popular (SOOOO much more than me and my blog, wistful sigh) but how do I stop getting these? I click on “unscribe to comments on this post,” to no avail. When I get here it says I am already unsubscribed…and then I continue to get the messages sent to my email. You can all throw juicy, overripe tomatoes at me, but does anyone know how to stop this (without stopping notices about comments to MY blog)? hugs to all and world peace! Congratulations on your book! This is indeed another success for you.Can’t wait to have a copy. made the sweet potato pound cake. fabulous! I made this cake tonight — but instead of sweet potato puree, I used some of your butternut squash puree that I had left over from a holiday meal. They turned out DELICIOUS. This is now in my recipe book and I will try again with sweet potato one day. Heard about you, your book, and blog on Head Butler last week. Made the cake the very same day (had mashed sweet potatoes in the freezer – meant to be). I baked often, very often, and this is one of the loveliest cakes I’ve had the pleasure of serving to my family. Moist but not sticky, solid but not heavy, spicy but not noticeably so. One of those cakes you can eat out of hand by the chunk. I did not use the glaze (no buttermilk in the house – meant to be). Anyway, thanks for the great blog and recipe. I look forward to coming back for more. Wonderful cake, thank you so much for sharing it with us! My two toddlers absolutly loved it and I hope to be able to post some pictures later, if there’s any of it left. They both literally charged over that cake!Good luck with everything and keep blogging away!Cheers! Just wanted to say that I loved the cake! Made it this weekend for my father-in-law’s birthday, and it was a huge hit! I have made this cake twice in a week and it is so frickin’ good! Glad you are home safely from your tour. You are a blessing to us. Hi, Molly, I came across your very lovely book because you allowed a Kindle edition. Thanks! I practice medicine during the day, then grow food and cook and manage my website in the evening, so I probably wouldn’t have found it if it hadn’t been on Kindle. I am so tired of slick, vaguely or grossly cynical “foodie” books that a clear, true voice like yours is a nearly-ecstatic pleasure to encounter. Please, keep writing. This is my new favorite potluck dessert. It’s incredibly simple and also incredibly delicious. I use a little bit less sugar (maybe 1/2 cup less, total), double the nutmeg and some extra vanilla in the glaze to thin it out a little. It’s amazing.Also, your book is fantastic. I bought a copy as a gift, then couldn’t give it away, so I had to buy another copy for my friend! The pound cake turned out amazing, not to sweet, just like I like it. Didn’t have a bundt cake pan, so made mini muffins and took them to work to share. Thanks! I almost didn’t comment (what’s one more little comment after 180 others?) but decided that I had to tell you how much I’m enjoying your book. I bought it as a birthday gift for myself, and have another copy on the way for a foody friend’s upcoming birthday. I can’t wait to add it to my cookbook shelf, get batter and berries all over the pages, and write my notes in the margins. So thank you, thank you, and please come to Nova Scotia! You can’t get much better than Digby scallops. And best of luck with Delancy! Great cake! I adore the photos on your site…really beautiful. enjoyed your book- so happy to see the tomato fennel soup recipe- it was dee-lish! OK, I've made this cake twice now and it is wonderful! Don't be tempted to add spices; the nutmeg is all you need. The only thing I did differently was to first paint the glaze onto the entire cake with a pastry brush and then I drizzled the rest over the top a little at a time. Made it. Love it. The glaze seals the deal. I made this cake two days ago! It was delicious. Nex t time I'm going to try it without the glaze. It was good, but I was imagining a little bit drier texture, and would like to see if that's what I get without the glaze. Thanks! !